Immediately following a car accident, it can be difficult to think and act rationally. You may be so concerned about the fact that your car has been damaged and you’ve suffered serious injuries that your first thought may be just to seek medical care. And while you should get emergency care when injuries demand it, if you are able to, there is important information that you should prioritize exchanging and collecting at the accident scene. One of the of most important pieces of information to collect after a car accident is the name and contact information of the other driver. Fortunately, if a police report is filed, this information will likely be available on that report as well. However, if you need to contact the other driver after the accident–for example, to get information about their insurance policy–having their contact information on hand will prove helpful. When you file a police report or a car insurance claim, knowing the vehicle make, model, and license plate number of the car that hit you is important. In the event that your accident is a hit-and-run, this information will prove especially useful in (hopefully) tracking down the responsible driver. In order to file a claim with the other driver’s insurance company, you’ll need to acquire information as to who the insurance provider is. You may also ask the other driver about their policy–like how much they carry in liability coverage–for your own peace of mind, although doing so is not always necessary. If there were any witnesses to your accident, getting their contact information, as well as jotting down a brief description of what they saw, is a must. 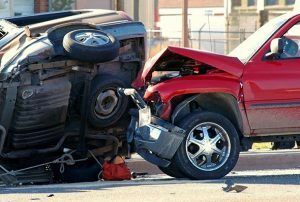 Witness testimony can be critical in a car accident claim, and may help to determine fault and have an effect on the amount of damages you are able to recover. Making a note about potential video or camera footage that may exist. For example, if there is a nearby business, there is a chance that the business’ security footage captured your crash. Write this down to follow up on at a later date. After you have collected and exchanged as much information as possible, you should contact an experienced car accident attorney. Share the information you’ve collected with your attorney, who can follow up with the other driver, the insurance company, any witnesses, and any potential sources of video evidence. Your attorney can follow up with all parties, and start to collect evidence to build your claim. Scott J. Allen has 20 years of experience litigating and trying cases in state and federal courts as a Personal Injury Attorney in Santa Cruz, California. He has also helped countless clients resolve disputes through alternative dispute resolution mechanisms such as mediation and arbitration.